Livermore Valley's dog friendly wineries host a day of fun for dogs and their owners across the region. Bring your friendly four legged friends (on a leash, of course! ), and enjoy a day in beautiful Wine Country. ​Local animal rescues (including us!) 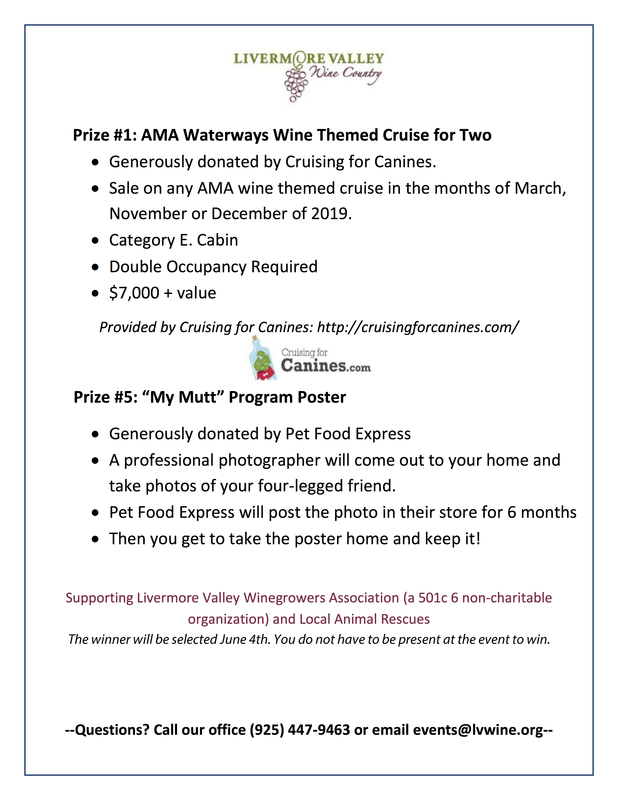 will be partnered with wineries, promoting adoptions of their furry friends that need a home. There's a fantastic raffle, and when you purchase tickets through us, we get 50% of the proceeds! Learn more below. You'll pick up your glass at the starting winery of your choice, along with a wrist band that grants you access throughout the wineries. Learn more. Support Copper's Dream in the Raffle! 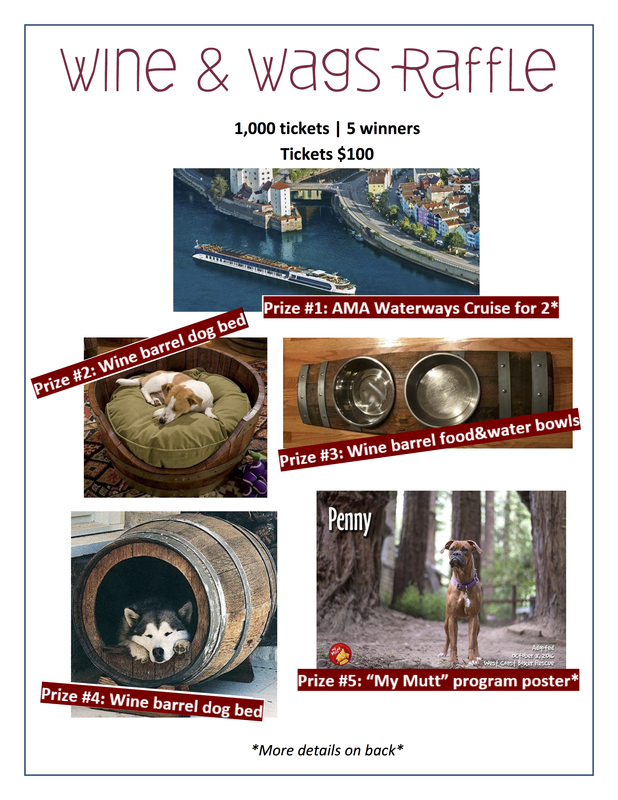 1) Ama Waterways Cruise for 2 - good for a wine themed sailing in March, November, or December of 2019. 5) Pet Food Express "My Mutt" Program- photo shoot with your dog and a poster in their stores for 6 months!